The Alco RSD-1 was the first road switcher of its kind to feature six-axles. However, at the time of the model's development railroads had yet to embrace the diesel locomotive for main line service let alone a six-axle curiosity that was yet to be understood for the benefits it provided. The American Locomotive Company's six-axle RS1 came in two variations, the RSD-1 mentioned above which was a C-C setup and the RSC-1, an A1A-A1A design. While the model only saw roughly half the sales of its four-axle counterpart it was beloved by the US Army, who interestingly enough ended up being Alco's only customer for the model (they even went so far as to requisition standard RS1s and convert them into C-C designs!). Today, nearly a dozen RSD-1s are known to be preserved around the country with a few being still operational. It should be noted that while historians and railfans often index the six-axle RS-1 model as either an RSD-1 or RSC-1, Alco itself made no such distinction. Instead, the builder merely included them all as RS-1s and only differentiated the three by their designation numbers. According to Brian Solomon's The American Diesel Locomotive RS-1s were classified as E1640, E1641, and E1641A; RSD-1s as E1645, E1646, and E1647; and RSC-1s as E1651. This can likely be explained by the fact that Alco really never intended to develop a six-axle RS-1 but did so upon request by the US Army. The Army quickly took to the four-axle model for its lightweight and comparable horsepower, allowing it to be used in switching service within bases as well as pulling heavy loads. For technical information related to the RSC1/RSD1 please click here. However, after initially ordering RS1s and with World War II ongoing the Army wondered if a six-axle, C-C design (meaning all axles were powered) would not only offer more tractive effort but also be more applicable to the lighter rails used in Europe by spreading out the locomotive's 122 tons more evenly. It proved to be quite successful and the Army ordered several batches of RSD-1s beginning in 1942. 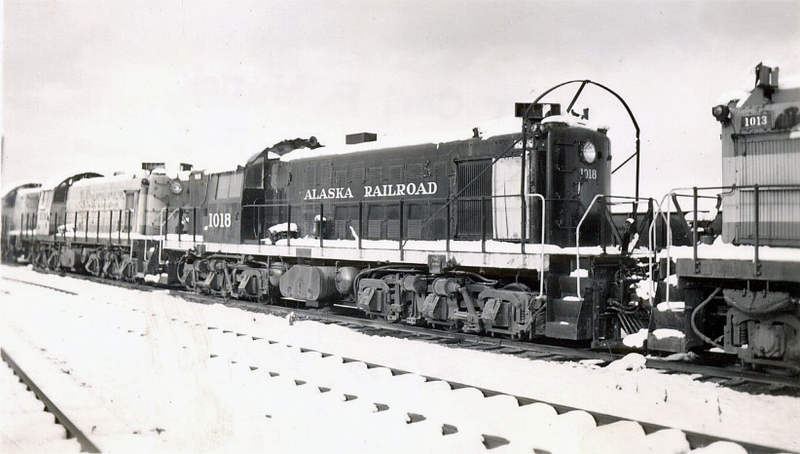 Interestingly enough, with World War II ongoing and desperately in need of locomotives for the war effort, the Army took the first 13 RS-1s built for the Rock Island, Milwaukee Road, New York, Susquehanna & Western, Atlanta & St. Andrews Bay, and the Tennessee Coal, Iron & Railroad and had Alco convert them all into RSD-1s. Internally, the Alco RSD1 was essentially the same as the RS1 featuring the turbocharged McIntosh & Seymore model 539T prime mover and was also about the same length, 54 feet, 11 inches (although some were 55 feet, 5 inches). As usual, still working in conjunction with General Electric and Westinghouse many of the model's internal components like air brakes, air compressors, and traction motors came from these companies. Interestingly, Alco stuck with the six-axle design producing later versions (although some featured an A1A design, or the center-axle unpowered) like the RSC-2, RSD-4, and RSD-7. Unfortunately, the six-axle RS models, while providing more traction and greater weight distribution (making them ideal for heavy drag service, even on light branch lines), were never as popular as their B-B counterparts. In, all some 250+ Alco RSD1s were produced; 247 for the US Army (including the 83 MRS-1s the Army purchased in 1953), 4 for Sao Paulo Railway of Brazil (which purchased the A1A-A1A RSC-1), and 6 for National de Mexico. More information about these locomotives can be found in the production roster listed above. Of the dozen units preserved four are known to be operational; U.S. Army #8018 at the Orange Empire Railway Museum, U.S. Army RSD-1 #8652 at the North Alabama Railroad Museum, and U.S. Army #8669 and #8677 at the Tennessee Valley Railroad Museum. 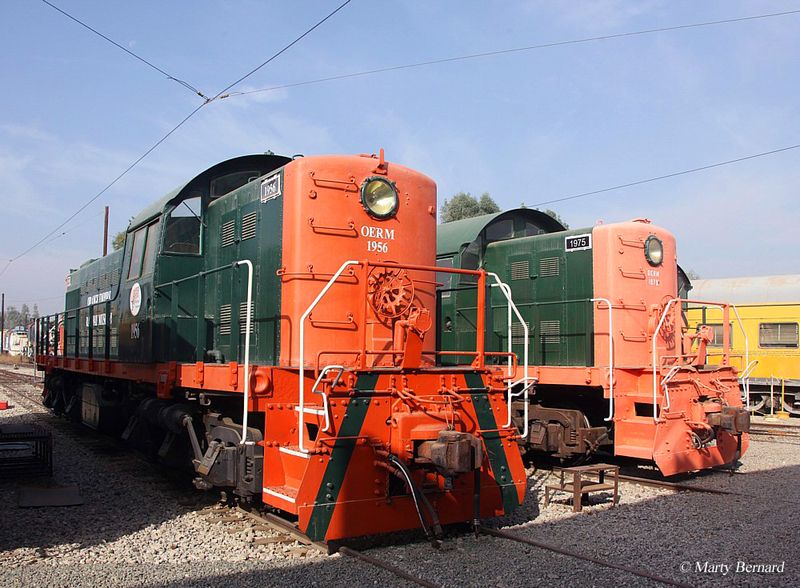 To read more about other Alco Road-Switcher (RS) models please visit the Diesel Locomotives section of the site, which can be reached from the top of this page.